The US Dollar turned higher anew against the Japanese Yen, breaking above the 23.6% Fibonacci expansion at 101.85 to expose a support-turned-resistance shelf at 102.27. A further beyond this boundary targets the 38.2% level at 102.53. Alternatively, a reversal back below 101.85 on a daily closing basis exposes the February 4 low at 100.75. Close proximity of near-term up- and downside technical barriers argues against taking a trade at the moment from a risk/reward perspective. Furthermore, The Yen remains highly sensitive to churn in risk appetite trends, making the currency’s crosses vulnerable to sharp volatility as the upcoming US Employment report comes across the wires. We will opt to stay aside for now. We are short Euro against the US Dollar at 1.3757 in line with our long-term fundamental outlook. The single currency launched a rebound from support the bottom of a falling channel set from late December, with prices now testing resistance at 1.3635 marked by the 38.2% Fibonacci retracement. A break above this barrier exposes the channel top at 1.3665. Alternatively, reversing below support at 1.3574, the 23.6% retracement, aims for the February 3 low at 1.3476. We see positioning as still favoring the downside. 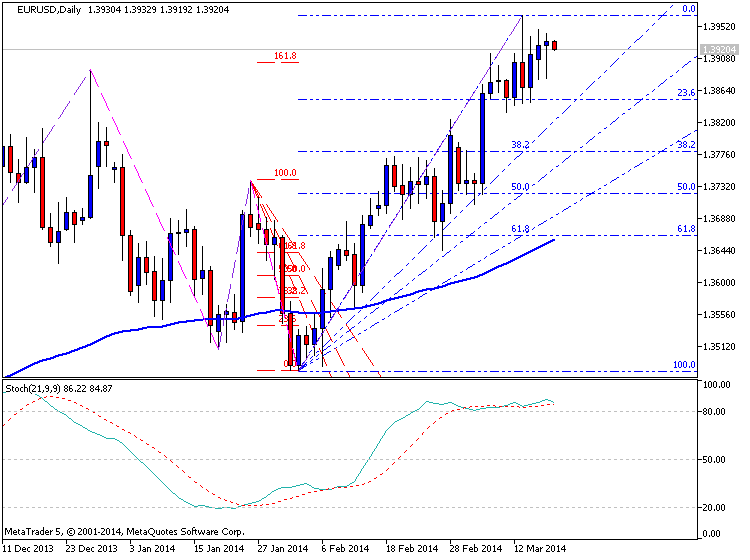 A stop-loss has been set to trigger on a daily close above 1.3738, the January 24 high. Our first long-term objective is 1.3209. -EURUSD found a top just shy of a trendline confluence. The market is in a range (within a range within a range). 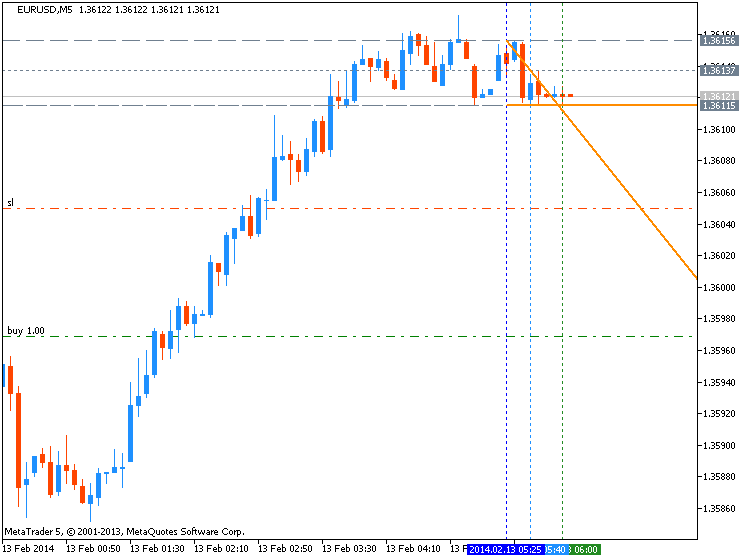 Support is estimated at 1.3527/55 and resistance is seen at 1.3637 now. Stronger resistance is probably 1.3745. -Bigger picture, the response in late December from the trendline that extends off of the 2008 and 2011 highs does suggest that the market may have made an important top BUT the failed breakdown in late January / early February hints at a bottoming process. Play the range. The Euro pulled back from resistance marked by a falling trend line set from the October 2013 swing high and double top to meet support at 1.3698, the January 14 high. A break below this barrier on a daily closing basis targets the 38.2% level at 1.3613. Alternatively, a move above the trend line, now at 1.3768, exposes the 1.38 figure. We will continue to wait on the sidelines for now until a new short trade opportunity in line with our fundamental outlook presents itself after our previous attempt to sell the pair stopped out at breakeven. 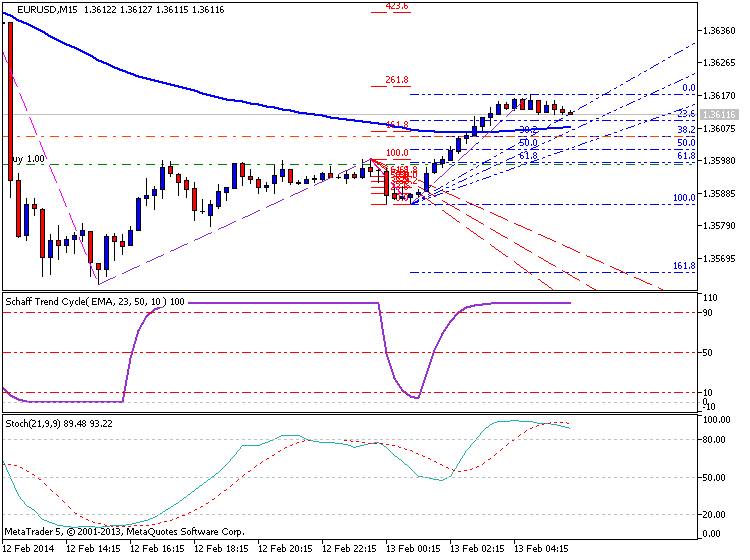 -The USDJPY range has tightened for most of February. The choppy trade since the 2/11 high probably composes a B wave triangle within a 3 wave rally from the early February low. -The implications are for a C wave rally to begin in the next few days towards 103.45/85. The Japanese Yen has dropped to a five-week low against the US Dollar as prices broke above resistance at 102.84, the 23.6% Fibonacci expansion. Buyers are now testing falling trend line resistance set from late December at 103.13, with a break above that exposing the 38.2% level at 104.14. Alternatively, a turn back below 102.84 aims for the February 17 low at 101.38. Prices are too close to relevant resistance at this point to justify a long position on risk/reward grounds. On the other hand, attempting to re-enter short without a defined downward reversal signal seems premature. We will stand aside for now. The Euro may be starting to send early signals of a reversal lower against the US Dollar. Prices put in a Shooting Star candlestick below resistance in the 1.3892-1.3911 area, marked by the December 27 high and the 38.2% Fibonacci expansion. The barrier is further reinforced by a rising channel top. Support is in the 1.3800-31 region, a former double top, with a slide back through that eyeing the channel bottom at 1.3744. Alternatively a break above resistance targets the 50% Fib at 1.4045. Our long-term fundamental outlook favors the downside but a Shooting Star is not a concrete-enough signal to enter short. We will wait for confirmation on a daily close below the channel bottom to initiate the trade. USD/JPY’s recent dip developed shortly after the Shooting Star formation on the daily as noted in recent candlesticks reports. However, the pair may now face a short-term bounce with buyers acting to support prices at the 101.20 mark in intraday trade. Confirmation from a bullish reversal candlestick formation would support long positions with a potential target of 102.70. -The EURUSD has broken out of the 5 month triangle. 1.3720 is the new pivot. 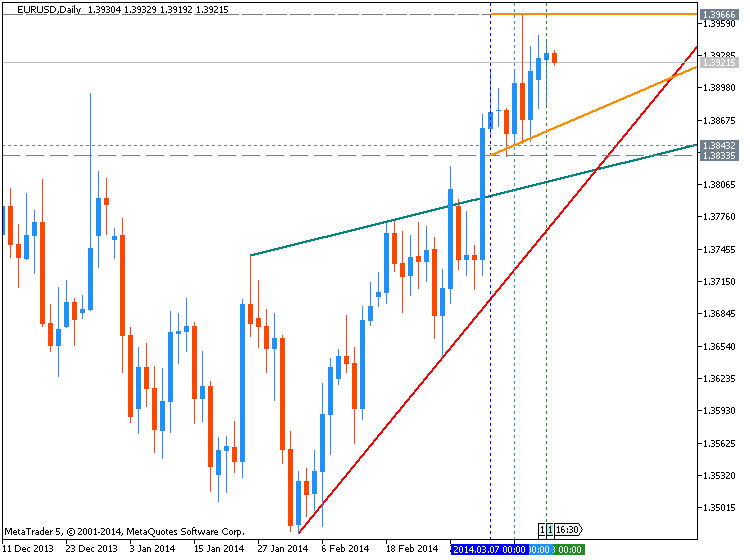 As long as price is above 1.3720, focus is on the triangle target of 1.4368. The October 2011 high at 1.4247 is a possible reaction level. 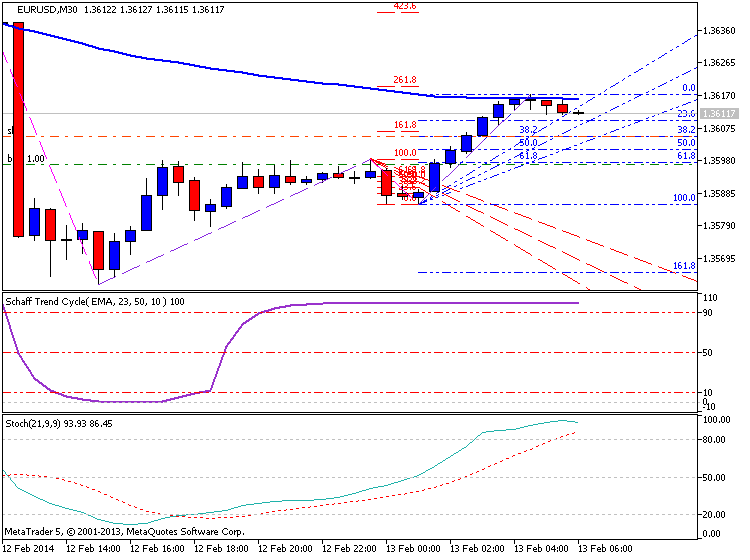 -Former resistance is now estimated support at 1.3813. --- Written by David Rodriguez, Quantitative Strategist for DailyFX.com David specializes in automated trading strategies.